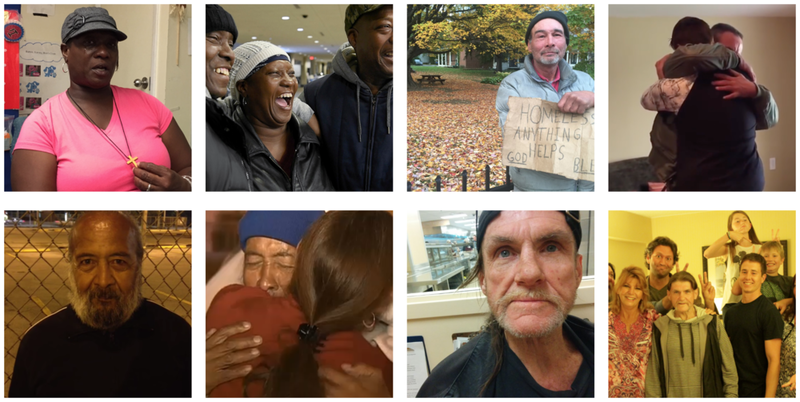 Help a person experiencing homelessness reconnect with their loved ones. Volunteers and partner sites use our award-winning tools to record short video, audio, and text messages from their homeless neighbors to their loved ones. Our global network of trained “digital detectives” scour the internet to locate loved ones and deliver messages. Join our weekly cold case committee call to get started. Inspire others to get involved by sharing your outreach and reunion stories on social media and our Slack community. Remember to use hashtag #MiracleMessages and tag us! 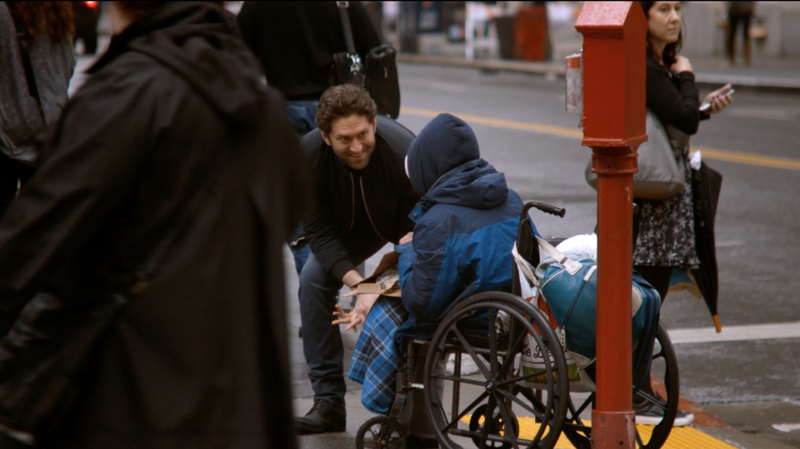 Volunteers join forces with local partner sites to engage their homeless neighbors in conversation and offer to help them record short Miracle Messages (video, audio, or text messages) to their loved ones. Then, our trained digital detectives attempt to deliver the Miracle Message and facilitate a reunion. Learn how to bring Miracle Messages to your community, shelter, outreach team, or neighborhood. 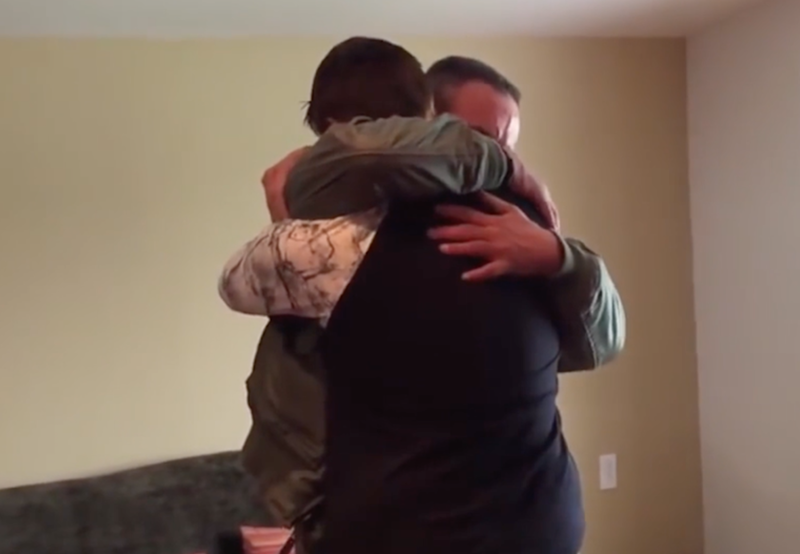 82% of located loved ones are excited to reunite. Yet the average length of time disconnected is a staggering 20 years. We offer a humane way to help end homelessness: We reunite families. With their families, yes. But also with us as their neighbors: "the homeless" are not problems to be solved, they are people to be loved. We generate stories that humanize: We shatter stigmas. 550,000 people sleep on the streets every night in the US. Frustrated? You are not alone. We offer simple tools for residents to make a difference in their local community. We empower neighbors. Introducing the “everyone is someone’s somebody” t-shirt! For every t-shirt purchased, $14 will be donated to Miracle Messages. Whether you are a current (or future!) volunteer with us, or just someone who cares about our neighbors experiencing homelessness (and looking super stylish! ), wear this shirt and spread the word: everyone is someone’s somebody.